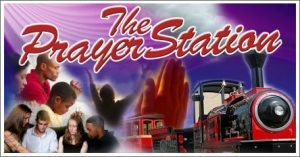 The Prayer Station is a Christian, faith-based ministry located in the Hickory Ridge Mall designed to offer prayer to those who desire to know and experience the power of God through our Lord Jesus Christ. It will involve people continuously worshipping the Lord and interceding for our city, nation, and the world. Hours are Tuesday through Friday from 10 am until 7 pm, and Saturday from 10 am until 5 pm. People are allowed to come and go freely to sit and pray in our prayer chapel as they desire. They are free to join in the worship and prayer, read their Bible, and engage in private prayer. People can sit, stand, or pace up and down the aisles. We only ask these activities are conducted in a manner that honors other people who may be in the room. We also request that people pray quietly to themselves so that others present will not be distracted. Prayer intercessors will work their various prayer shifts and pray for our city and its seven spheres of influence: government, religion, education, business, media, entertainment, family (community). People who need prayer will receive prayer from a prayer counselor. Prayers and prayer resource materials will be made available to the general public. There will be times of small group prayer for those who desire to participate. People from all walks of life and religions who desire prayer are welcomed. Any person can receive prayer in the name of the Lord only. As a Christian ministry, only prayers to the Lord Jesus Christ are acceptable. The Prayer Station is a Christian ministry and an extension of the mission of World Overcomers Outreach Ministries Church. For more information about The Prayer Station, please contact Prophetess Verna Burrow at (901) 844-3841 or vburrow@woomc.org.